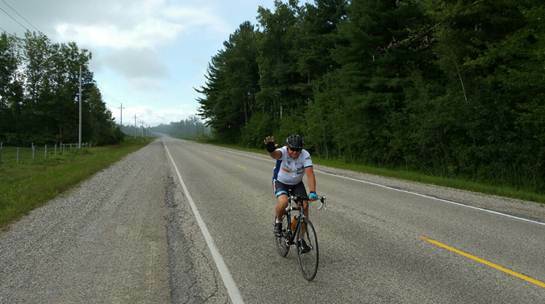 That’s how the Guelph Mercury described Jeff Nealy when speaking to him about his epic bike ride from Windsor to Guelph, all in support of United Way Guelph Wellington Dufferin. But the name stuck and Nealy isn’t broken up about it. It’s true; when the time comes to start making change in the community, Jeff Nealy flourishes. Jeff completed the third annual “Grumpy Guy Bike Ride” on Thursday August 27th. 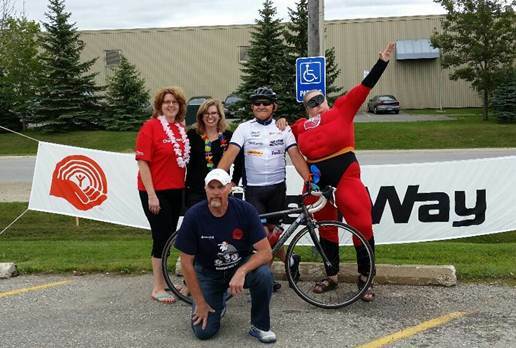 To celebrate, Linamar Transportation hosted a Finish Line BBQ, where over 100 Linamar employees, Jeff’s family, sponsors and Chief Jeff DeRuyter and Deputy Chief Paul Martin of the Guelph Police Service were waiting for him to cross the finish line! 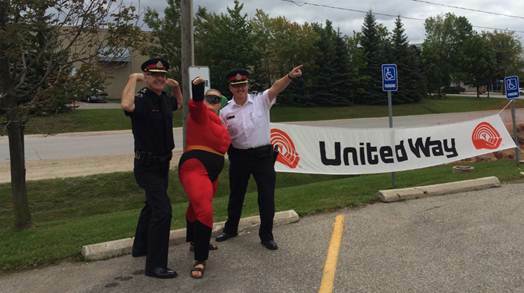 Over $14,000 was raised in support of United Way Guelph Wellington Dufferin. 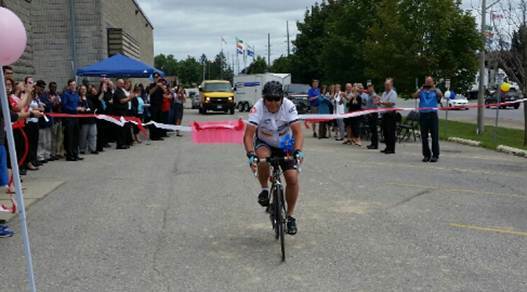 And once again, Jeff crossed the finish line with a smile! United Way would like to thank Jeff and Linamar Transportation once again for their incredible support of our community! 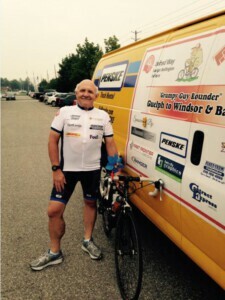 Way to go Jeff!